I always look forward to Cinco de Mayo. I love any excuse to enjoy the flavors of Mexican food. This year Cinco de Mayo is on a Thursday. That means you may find yourself facing your Cinco de Mayo celebration at the end of a long day of work near the end of an even longer week of work. With a little preparation ahead of time, you will be able to celebrate at home without a lot of fuss and trouble. There are three essentials for any Cinco de Mayo celebration in my opinion. You can easily have the preparation work done ahead of time for each of these three easy Cinco de Mayo recipes. That way you can enjoy Cinco de Mayo without a lot of muss or fuss. First, you'll want to plan for your celebratory cocktail. Of course, it must be a margarita. For me, it will be a classic margarita, on the rocks with salt on the rim. First, make your simple syrup by heating equal parts water and sugar together in a small pot over medium heat. Bring the mixture to a boil, stir to combine the sugar and water and remove from the heat to cool. Squeeze limes to get the amount of lime juice you will need to make your drinks. Prepare your margarita glasses with salt on the rim, if desired. I run a wedge of lime along the rim and then dip the rim in kosher salt. 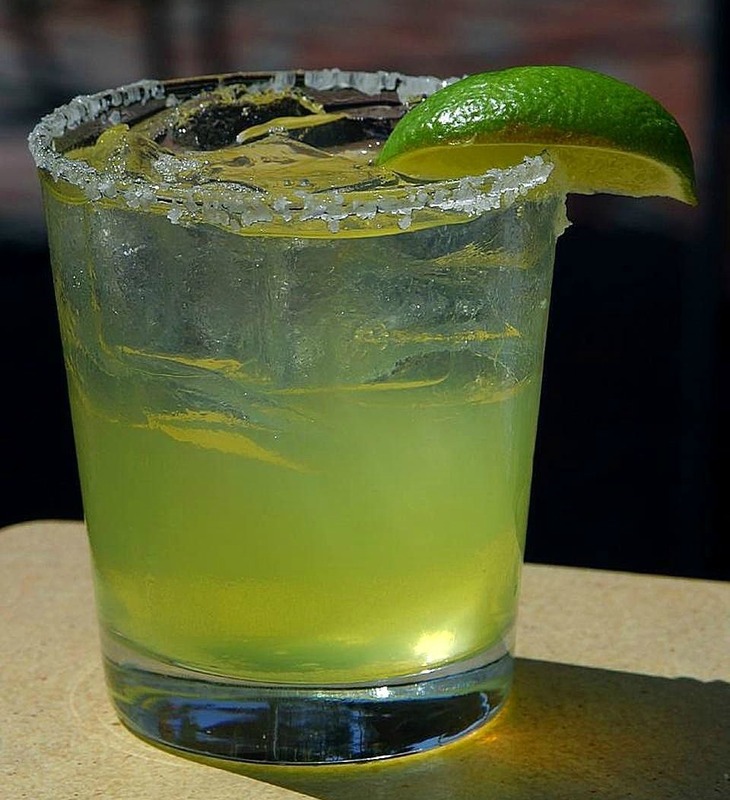 If you want to be a little fancier, mix the zest of one lime with the salt and then dip the rim of your glass in the mixture. Set aside to dry. Add the ice to a Boston Shaker. Then add Tequila, Grand Marnier or Triple Sec, simple syrup and lime juice and shake until the shaker frosts. Pour the margarita and ice into the prepared glass. Serve and enjoy! Next, you'll want some snacks to eat with your margarita. What is more classic than salsa and guacamole? My recipes for both salsa and guacamole are the best! I've tried others, but I keep going back to these. This salsa tastes more flavorful if you make it ahead of time. Make it on the weekend and it will be perfect for Thursday. Are you having a crowd of friends at your party? 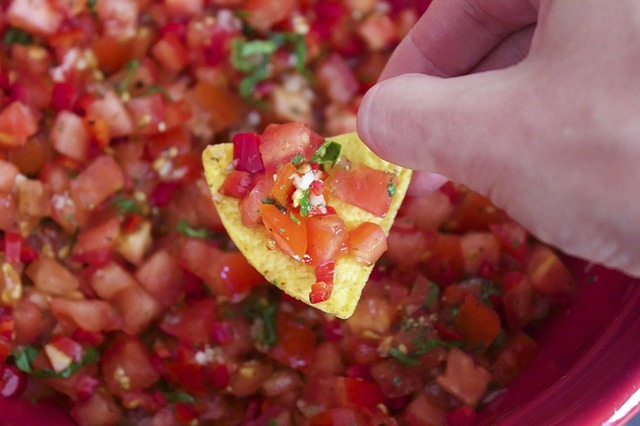 You'll love that this recipe makes enough addictive salsa to feed a crowd. No self-respecting Cinco de Mayo celebration can happen without some guacamole to go with your tortilla chips. 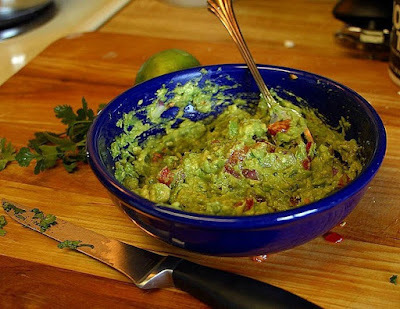 My guacamole recipe will produce a chunky, flavorful addition to your Cinco de Mayo celebration. Add a couple dashes of tabasco, salt, and pepper. Taste and adjust the seasonings. Refrigerate your guacamole for a couple of hours before serving. The heat will intensify and the flavor only gets better as it chills in your refrigerator. Serve with your favorite tortilla chips and watch your guacamole disappear. Hah, Debbie! Been there, done that! 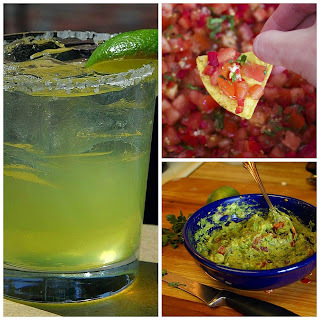 You'll find the recipes for salsa and guacamole to be delicious, even if I do say so myself!